Richard Young Moody, 78, passed away peacefully on Jan. 14, 2019. He was surrounded by his family who love him and he loved them. Rick had been battling different cancers for over 10 years. Rick, affectionately called “Doc” by his friends and coworkers, was born in Payson, Utah, on Feb. 10, 1940. He grew up and graduated from Delta High School, Delta, Utah. He served a mission for The Church of Jesus Christ of Latter-day Saints to the North Western States. He met Carolyn Colton Smith and married her in the Logan Temple on Dec. 28, 1965. He graduated from Utah State University and went to work for the CIA. He spent some years in Hong Kong with his family working there. He later returned and obtained his Ph.D. in psychology from USU. He spent the rest of his life raising his family and serving the people of central and Southern Utah. He helped create a drug and alcohol outpatient treatment program. 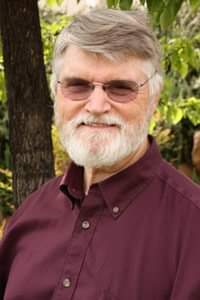 He was an author and facilitated many seminars, group therapy, group homes and other programs so that people could have a better quality of life. He served in his church and community in various responsibilities over the years. His greatest success is how he and his wife raised their family and taught them a love for their Savior. He was a faithful member of The Church of Jesus Christ of Latter-day Saints all of his life. He cared and helped his children, grandchildren, nieces, nephews and others with any problems or concerns over the years. He taught them how to work through issues and be successful. His legacy was one of love, service, hard work, acceptance and helping others. He was a true example of all the Savior asked us to emulate. Rick loved traveling, the outdoors, hunting, fishing and scuba diving. He would go camping whenever he and the family could get together to go. He was a black belt in tae kwon do. He loved to read westerns and science fiction. He enjoyed gardening and would go with his family on any trips they would take him on. He was preceded in death by his wife Carolyn Colton Smith Moody. They were married for 50 years before her death in September 2016. He was also preceded by his parents Emerald Lester and Mary Young Moody. He is survived by his six children (and spouses) Cresfield Winslow (Trish), Colton Richard (Ani), Alicia Kimberly Largin (Erik), Kami Po-Ling Collard (Jason), Kyley Young (Merrilee), Mindy Julianna Bigler (Jason), 23 grandchildren and one great-grandchild. He is also survived by seven brothers, three sisters and many other extended family and friends. His funeral service is at the Toquerville LDS chapel at 11 a.m. on Friday, Jan. 18. There will be a viewing Thursday from 6-8 p.m. and also from 9-10:30 a.m. Friday at the chapel. He will be interred at the Toquerville cemetery next to his beloved wife. Arrangements have been entrusted to the care of Serenity Funeral Home of Southern Utah, 435-986-2085.